While Birmingham often steals the spotlight for anyone visiting Alabama, the northern part of the state is more than worthy of a detour. Huntsville, a city on the Alabama and Tennessee border has plenty of attractions, including the U.S. Space & Rocket Center, Huntsville Botanical Garden, Unclaimed Baggage Center, Burritt on the Mountain, Cathedral Caverns, Ave Maria Grotto, Shrine of the Most Blessed Sacrament, and many more great places to visit. For an easy Southern escape, consider Huntsville as your next destination. 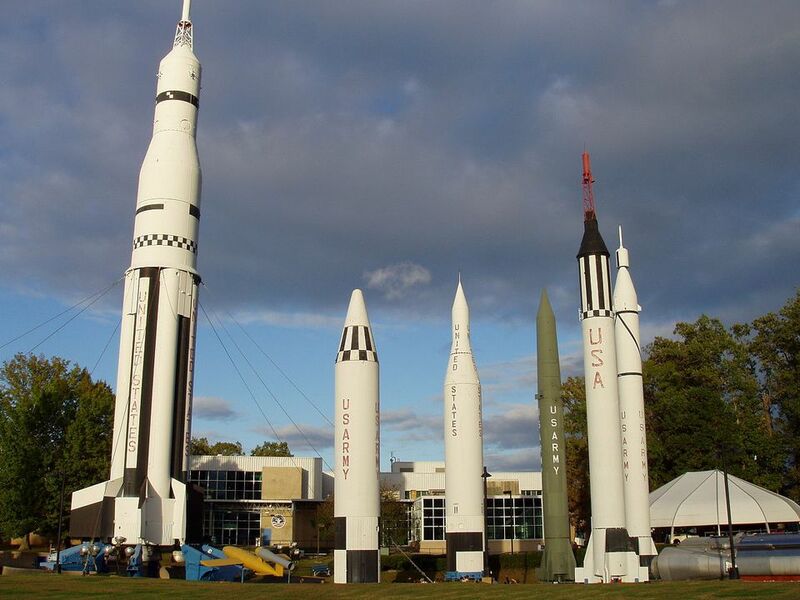 The U. S. Space and Rocket Center is a must-see for first-time visitors to Huntsville. There are not many cities that can put on such a display as the big Saturn V rocket standing outside the Space Museum. For the more adventuresome tourist with a few days or a week to spare, a residency at Space Camp will always be a fond memory. The Botanical Garden has special features all year round. Although May and October are the best months for viewing the flowers and plants, the December Galaxy of Lights has won many awards for tourism in the Southeast and is a great holiday experience for those seeking a warm weather vacation in Alabama. A 45-minute trip to Scottsboro is always a surprising—yet fantastic—place to bring guests. They enjoy seeing this famous landmark that Oprah Winfrey once said: "was the best-kept shopping secret in America." Here, you can browse racks of clothes and goods that people left behind or lost in transit. You never know what deals you may find! One of the delights of Huntsville is seeing the history of the Tennessee Valley. The Burritt Museum offers not only the best view in Huntsville​ but several log cabins and animals demonstrating how people lived in the second half of the 1800's. Since the Alabama Constitution was signed in Huntsville in 1819, it is only fitting that a whole village has sprung up to depict the life of Huntsville during the early 1800's. EarlyWorks Children Museum, Historic Huntsville Depot, and the Humphrey-Rodgers House are all located downtown and make up the EarlyWorks Museum Complex. Maria Howard Weeden was known worldwide for her historic paintings of black people. Her drawings were used for the costumes for slaves in "Gone With the Wind" and her Federal-style home is one of the oldest in Huntsville. Cathedral Caverns is now a state park. This cave holds six world records and is located near Grant, Alabama. Be sure to go into Grant and have lunch at Mimi's Cafe. Located in Hanceville, over an hour away from Huntsville, the Shrine of the Most Blessed Sacrament is certainly worth the trip and a must for anyone near Alabama. Mother Angelica has built a magnificent shrine of gold, marble, and cedar in honor of Jesus. So much has been written about Helen Keller, born in Tuscumbia, Alabama. It is awe-inspiring to go in June and July and see "The Miracle Worker" performed in the backyard of the house where the famous story actually took place. The Ave Maria Grotto near Cullman, Alabama is the ingenious work of Benedictine Monk Brother Joseph Zoetti. The amazingly accurate architectural miniatures of shrines throughout the world are set in a beautiful Alabama hillside. Expect to spend the whole day and take a picnic lunch. Don't try to do the Shrine on the same day—it's too much to pack in at once.